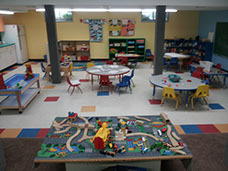 Lessard community league playschool is a parent cooperative program, which means that parents are directly involved in the school and their child's development. To learn more about the co-op experience and its benefits, please call (780) 993-6579. Preschool is a place of growth and learning. Lessard Community League Playschool provides your child with the socialization skills and desire to learn that will prepare them for Kindergarten and beyond. "In addition to strengthening socialization skills — how to compromise, be respectful of others, and problem-solve — preschool provides a place where your child can gain a sense of self, explore, play with her peers, and build confidence."